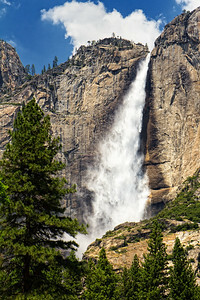 I heard there was a lot of water this year so I made a quick visit. 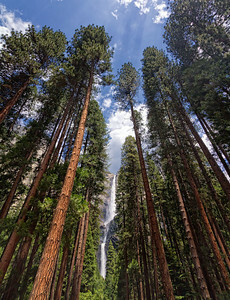 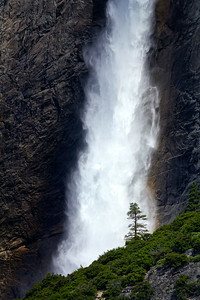 Upper Yosemite Falls in the late afternoon. 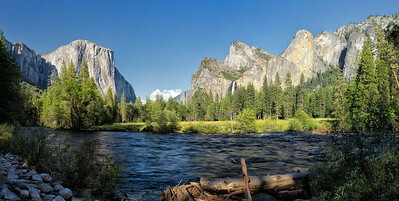 Yosemite Valley and the Merced River. 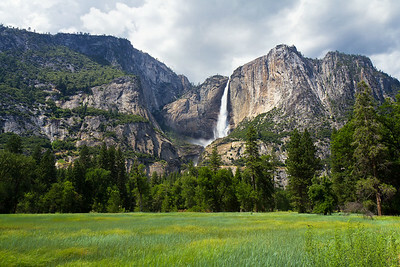 This location is known as Valley View. 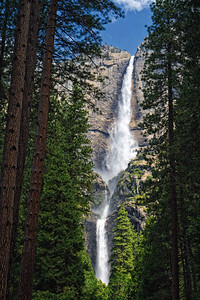 To the right, Bridalveil Falls is almost covered by trees. 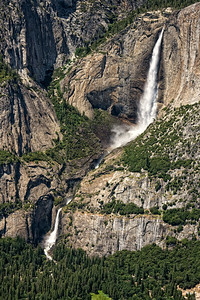 To the left is El Capitan and at the upper left is an unnamed waterfall appearing due to the heavy runoff. 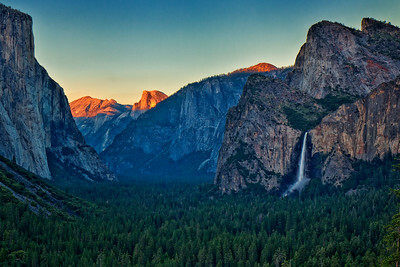 Bridalveil Falls, Half Dome and El Capitan at sunset. 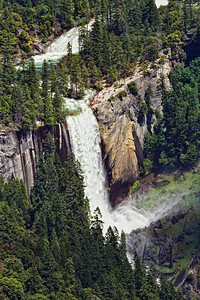 Vernal Falls. 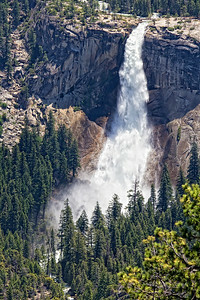 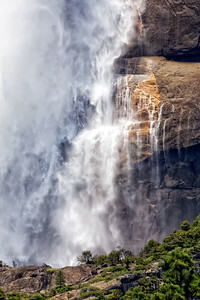 Photo taken July 7, 2011 about a week before three visitors climbed over the railing and were swept over the falls. 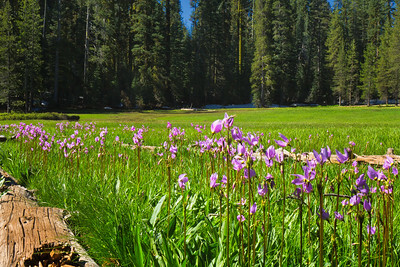 Bodies not yet recovered. 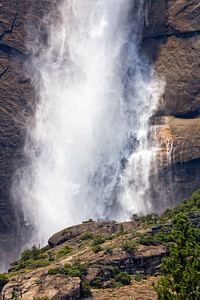 Upper and Lower Yosemite Falls viewed from Glacier Point. 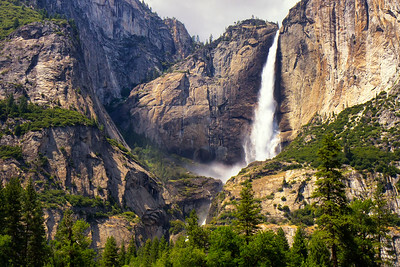 Yosemite Valley viewed from Glacier Point. 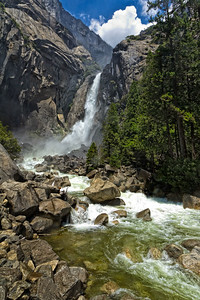 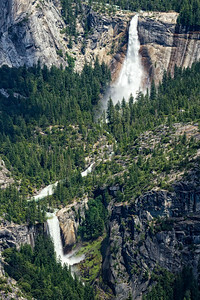 Left to right: Upper and Lower Yosemite Falls, Yosemite Village, Mirror Lake, Half Dome, Vernal Falls, Nevada Falls. 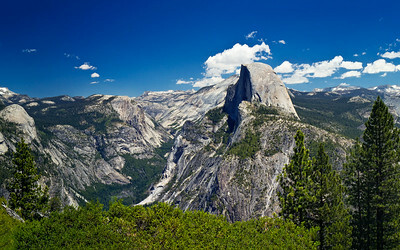 Yosemite Valley viewed from east side of Glacier Point. 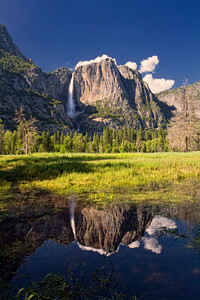 (Left to right:) Stone viewing house built in 1920s, Mirror Lake, Half Dome, Nevada Falls. 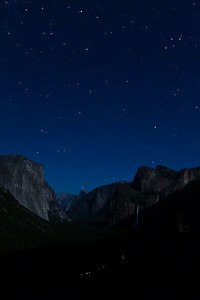 Moonlit scene from Tunnel View of El Capitan, Half Dome and Bridalveil Falls. 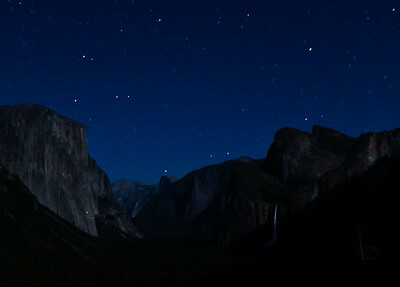 Note lights on the face of El Capitan (camping rock climbers) and cars. 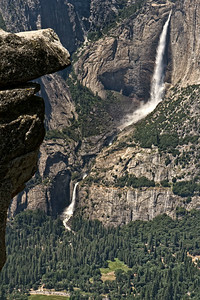 Moonlit scene from Tunnel View of El Capitan, Half Dome and Bridalveil Falls. 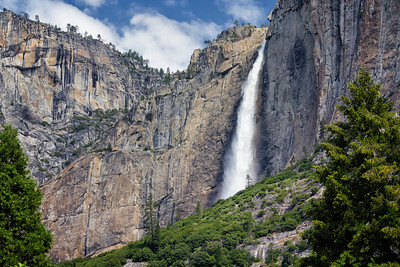 Note lights on the face of El Capitan (camping rock climbers).